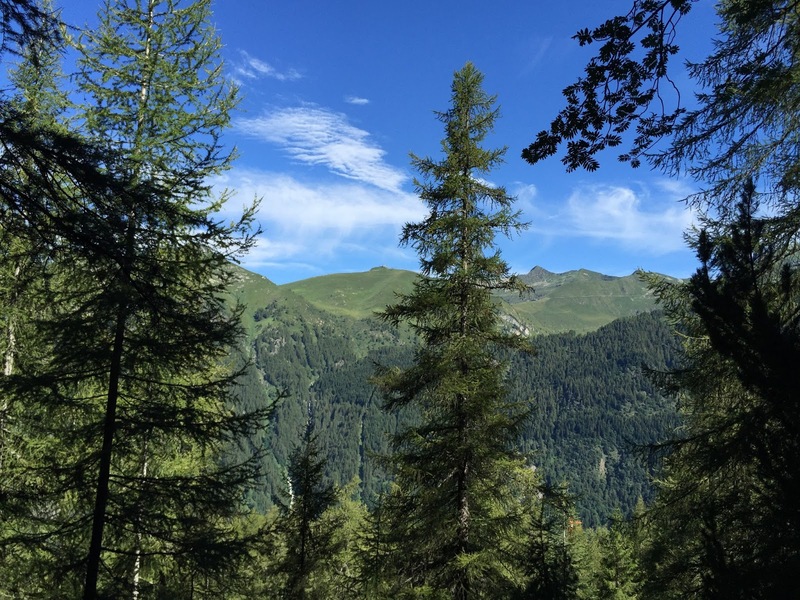 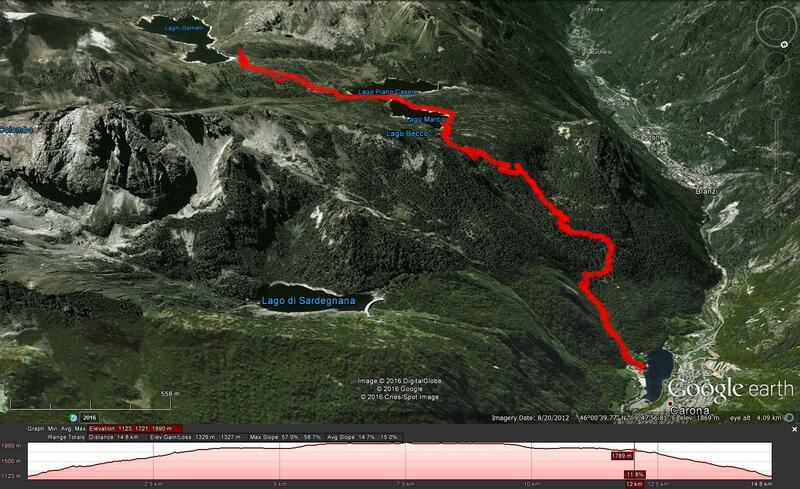 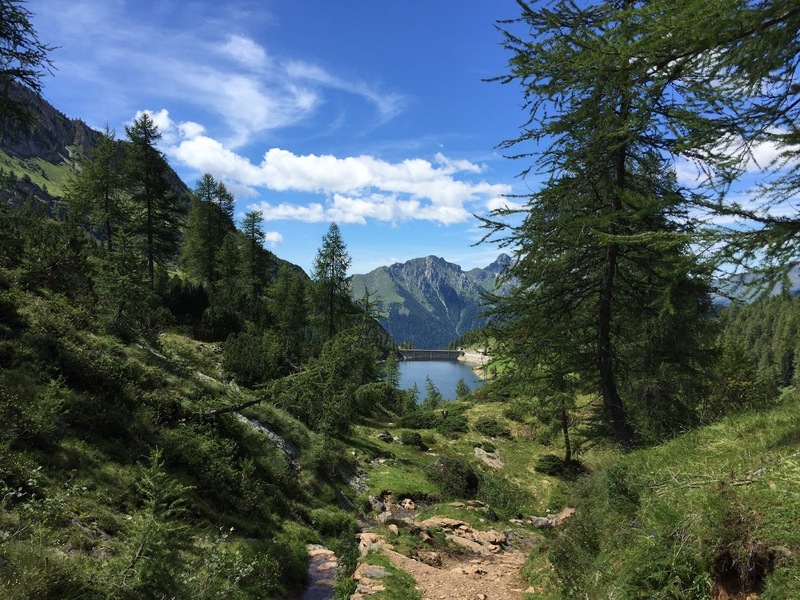 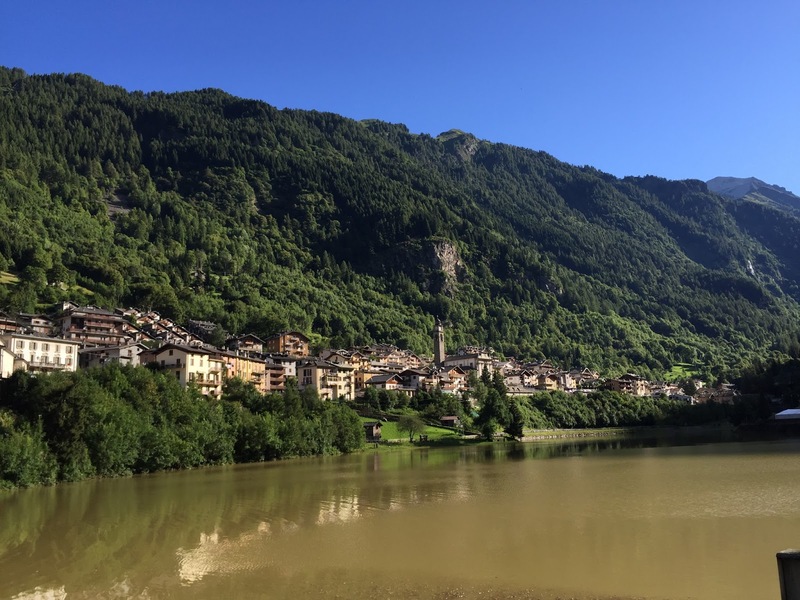 Left: Hike Route from Carona to Laghi Gemelli. Right: View north from the trail while descending, view of Lago Marcio. Left: Carlina. 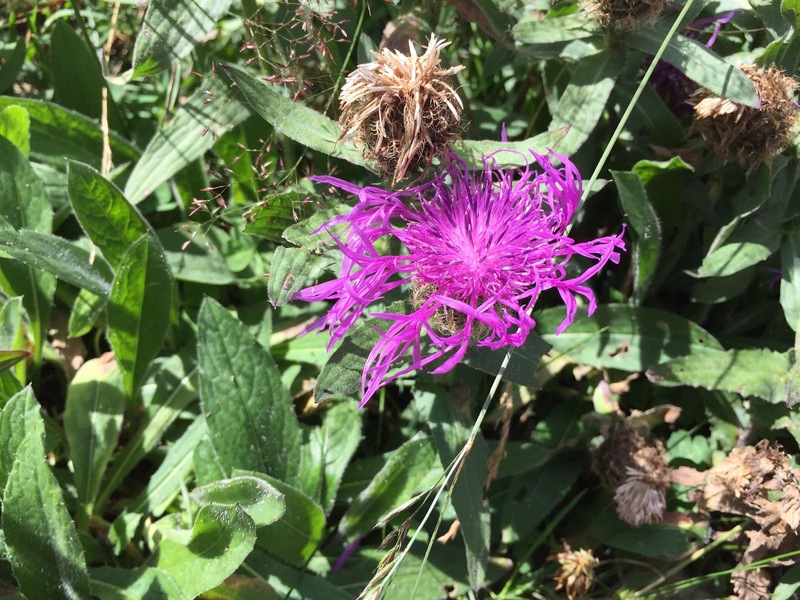 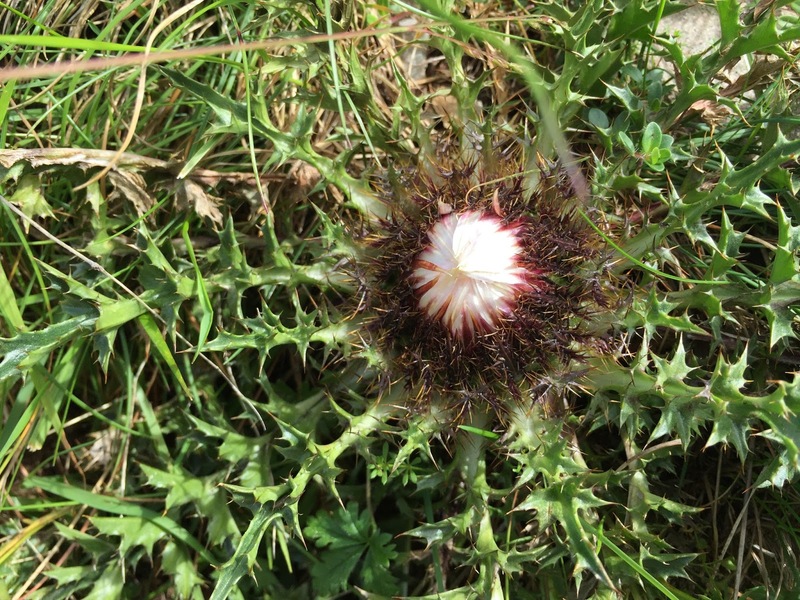 Right: Centaurea uniflora. 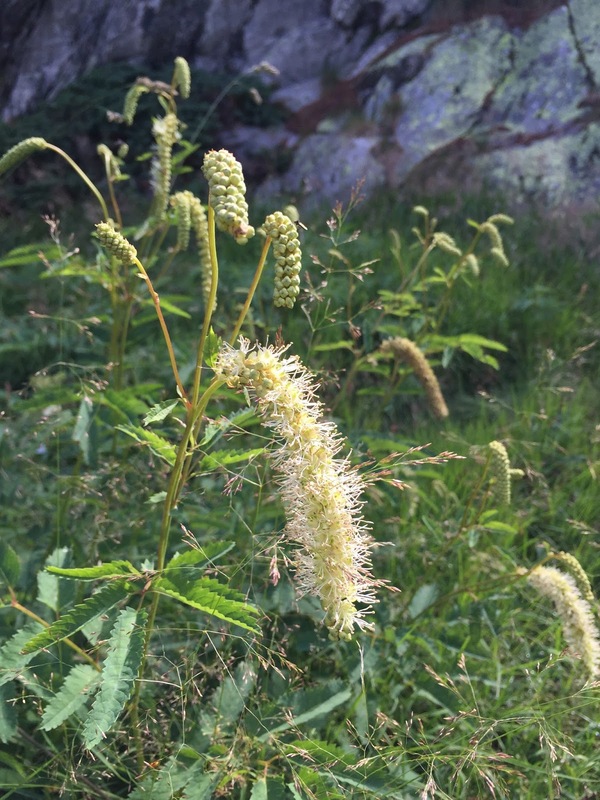 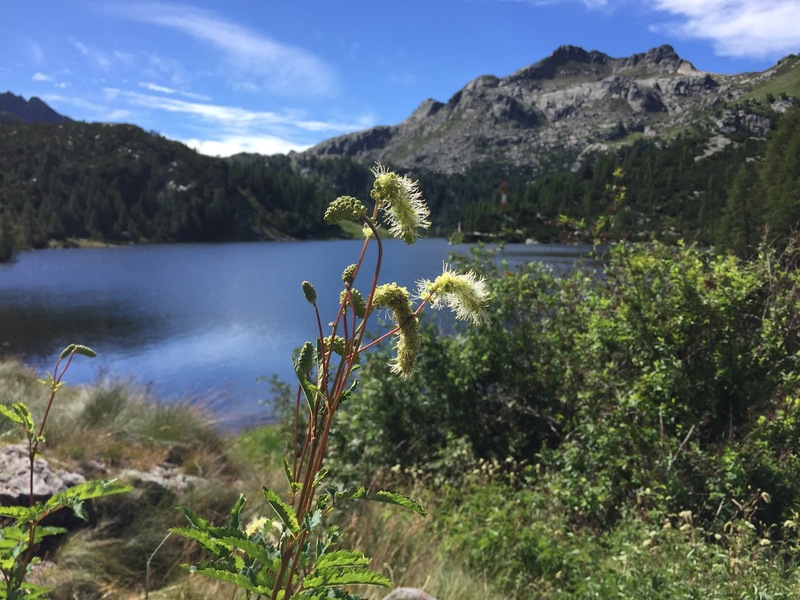 Left and center: Sanguisorba dodecandra Moretti near Lago Marcio. 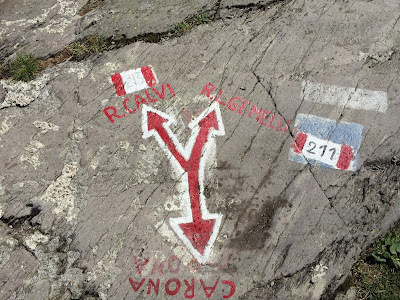 Right: Trail markers painted on a rock for Carona and Laghi Gemelli. 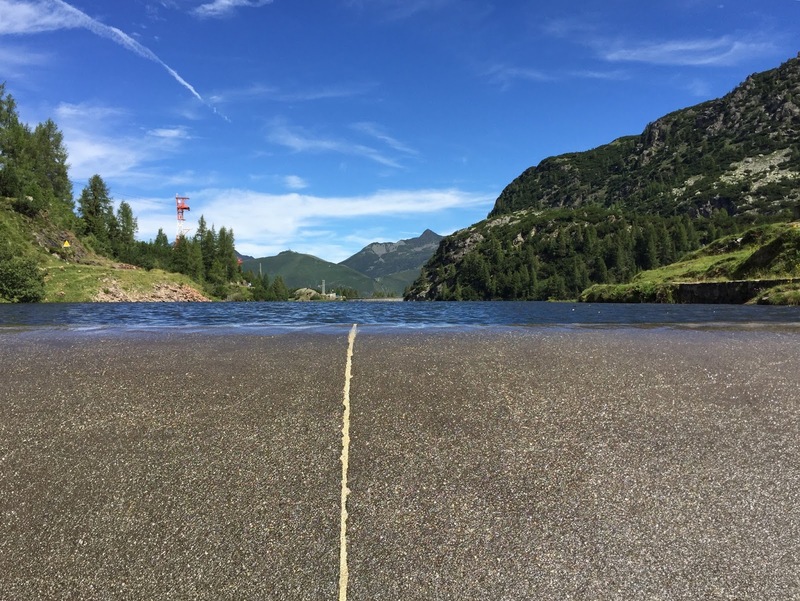 Left: South end of Lago Marcio at eye level, spillway. Right: Start of hike in Carona. 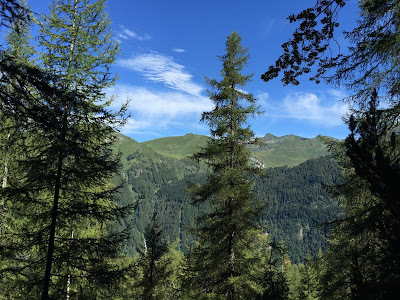 Left: View north through trees to Foppolo. 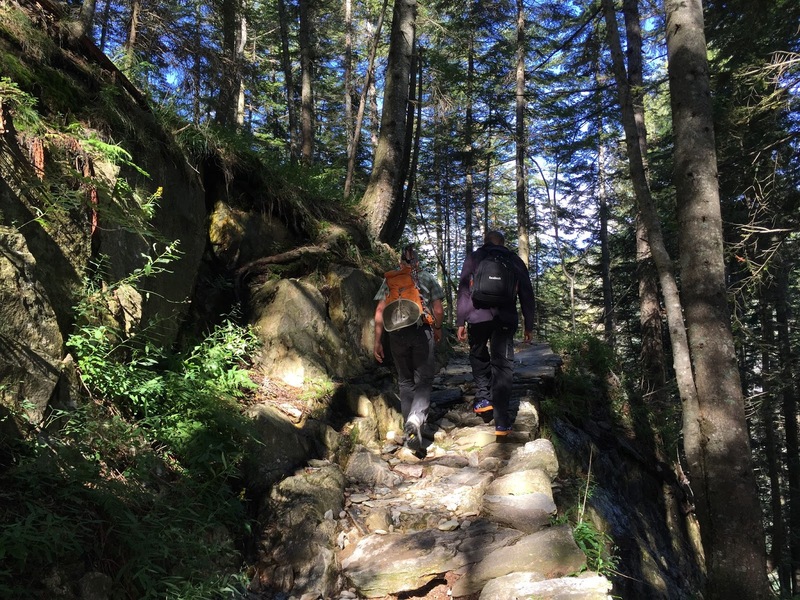 Right: The start of the trail is through woods and is steep in some sections.